This Christmas I received a beautiful new MacBook Air and have been on the lookout for a bag stylish enough to carry it in. I’ve had this waxed canvas and leather BillyKirk Carryall stuck in my mind since seeing it a few days ago and I think it might just be the one. Large enough to fit up to a 17″ laptop, my 11″ MacBook Air will fit with room to spare in the two interior pockets. 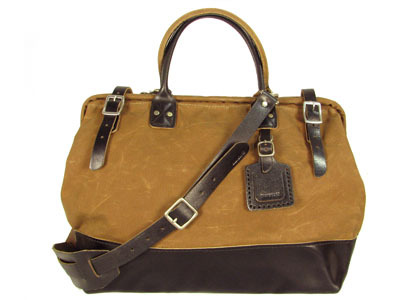 Especially love how this bag is reminiscent of a rustic doctor’s bag, with the hinged opening, top handles and double buckle closures. Sensibly, it also has an adjustable shoulder/cross-body strap for days when you have your hands full. This is definitely more masculine than some of the other options I had been contemplating, but I think my ramblings around New York (and yet-to-be-determined points beyond) require a tough bag like the No.165. The BillyKirk No.165 Medium Carryall is made in the USA and comes in four colors, but my money’s on the sienna waxed canvas shown above. oh, the macbook air is definitely on my wishlist! and i love the slight ruggedness of that bag. I am loving my macbook air – it is so compact I can take it with me anywhere and it isn’t a bother. I definitely recommend picking one up. 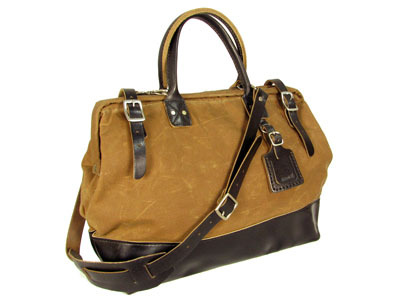 You are currently reading Quite Continental Wants: BillyKirk No.165 Medium Carryall at Quite Continental.